Angelique is a native of Southern California and a graduate of UC Irvine with a B.A. in English. She began taking dance lessons at 6 years old and by the age of 16, started to teach. After incurring a hip injury while still in her late teens, she was introduced to Pilates and became fascinated with the intricacies and complexities of the body. She continued to pursue her passion for movement and danced and taught professionally for more than 20 years. Years later while living in New York, she earned her first Pilates certification through The PhysicalMind Institute in 2003 after an 11 month intensive apprenticeship program under the direction of Master Teacher Elizabeth Gillies. Angelique was then invited to teach at Elizabeth’s studio for the next 4 years where she was profoundly influenced by Ms. Gillies’ dedication to rehabilitation and innovation. Angelique pursued her second Pilates certification by completing the BASI Comprehensive Teacher Training Program in 2008. In 2012 Angelique became a certified Level 1 GYROKINESIS® and GYROTONIC® instructor. In 2016, she completed a RYS 200 Hour Yoga Teacher Training and is a certified Yoga Instructor. She is also an advanced MELT Method Instructor. MELT is a Hands-off Bodywork™ approach that simulates the techniques and the results of manual therapy. MELT rehydrates connective tissue and conditions the nervous system to enhance its ability to support, protect and stabilize the body and eliminate the aches and pains we suffer from day to day activities. She was trained by MELT Method creator, Sue Hitzmann in 2009. Angelique is a Hand and Foot, MELT Length, MELT for Pilates Level 1 & 2 and MELT Strength Level 1 and 2 instructor. Utilizing intuitive cueing and a meticulous eye for form and proper body mechanics, Angelique provides a unique experience for each of her clients and their personal needs and goals. She strives to instill a clarity and deep understanding of the work to her diverse clientele such as those with shoulder pain, fibromyalgia, hip replacement, plantar fasciitis, ACL repair and sacroiliac dysfunction. She has logged over 20,000 hours of teaching and has trained extensively in movement protocols for specific populations. Angelique’s focus and specialization is working with individuals with low back pain, clients with scoliosis and those suffering from chronic pain. 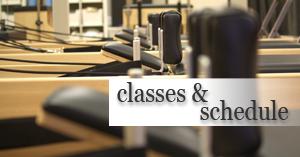 2015 Dance Medicine Modules 1-4, Westside Dance Physical Therapy, Marika Molnar. Certificate in Dance Rehabilitation Training. She has completed trainings with Master Instructors Marie José Blom, Jennifer Gianni, Rebekah Rotstein, Trent McEntire, Rael Isacowitz, Kathy Corey, Liz Koch, Kathy Van Patton, Lisa-Marie Goodwin Rice, Alicia Head, Dr. Robert Schleip and Phillip Beach. She was also invited as a specialty week instructor at the world famous Rancho LA Puerta Spa and Resort, in Tecate Mexico. 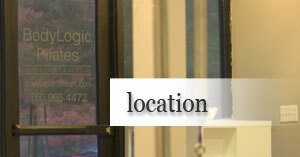 BodyLogic Pilates is the only studio in San Marcos and Carlsbad to offer Pilates and the GYROTONIC® Method of exercise. Our class sizes are small and our approach is personal. We specialize in working with clients recovering from injury and those in need of an appropriate transition from physical therapy. We also have experience with pre/post natal Pilates, clients with osteoporosis, breast cancer survivors, individuals with low back pain, scoliosis and many other conditions. It is our belief that Pilates and the GYROTONIC® method can change your life. Movement heals and should invigorate the body, revitalize the mind and nourish the soul. At BodyLogic Pilates we are committed to empowering clients with the knowledge and tools to improve their health and well being for life. BodyLogic Pilates is a wellness studio located in San Elijo Hills on the border of San Marcos and Carlsbad in the Melrose Plaza shopping center. We offer Pilates, GYROTONIC® and GYROKINESIS® and The MELT Method classes, privates and semi-privates. 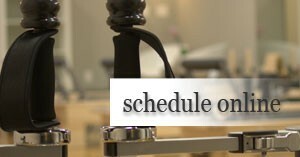 We are an affiliate studio for the BASI Pilates Program as well as a preferred studio for Balanced Body. All of our instructors hold national certifications and have trained extensively with a multitude of master teachers from all around the country. Our instructors aspire to provide clients with a unique and individualized experience tailored to their specific needs and goals.